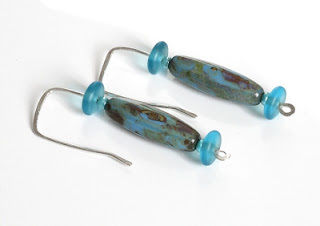 These hand forged earrings are made with one continuous piece of argentium sterling silver wire and Czech glass beads. I have hammered the wire flat for a modern contemporary style. These earrings are a great summer casual style. If you like matchy matchy, then check out this necklace.